Stand the wine cork up on it's end. Using a knife, slice one side of the cork off so creating a flat surface so it will lay flat on the table. Then flip the cork over to ensure it sits flat. If it doesn't, shave off more of the cork. Using the knife, slice a slit in cork on the opposite side of flat side. Slide your card in the slit to display it! 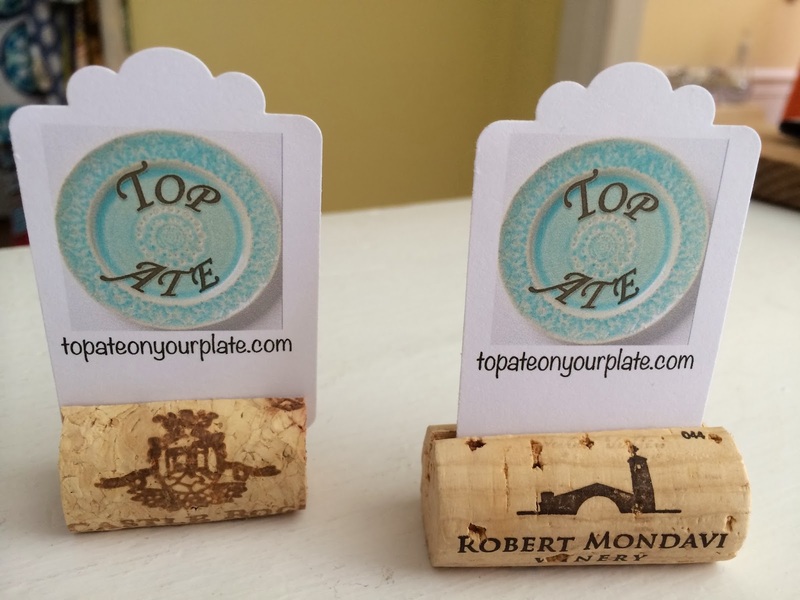 Back to Top Ate Wine Cork Crafts for more ideas.